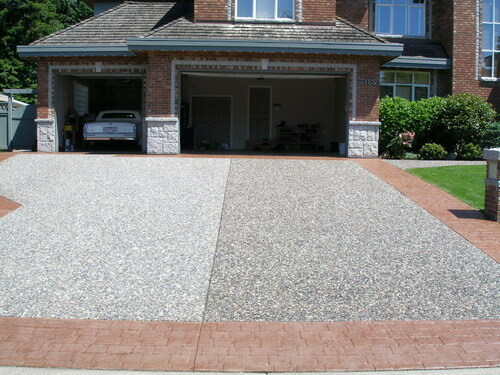 This photo shows a half completed exposed aggregate concrete driveway with clear sealer. The finished portion is on the right of the photo. Also shown is a stamp concrete border.